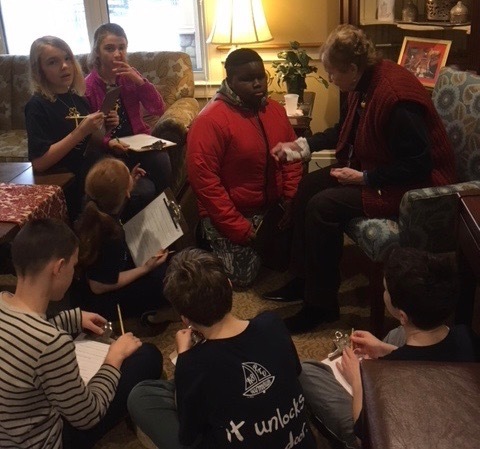 We extend our heartfelt thanks to Kelly Conley, our 5th and 8th grade students, the 5th and 8th grade teams, and the residents of Bay Square, for creating a wonderful new partnership! Our fifth/eighth grade buddies made Valentine's Day cards for the Bay Square community. 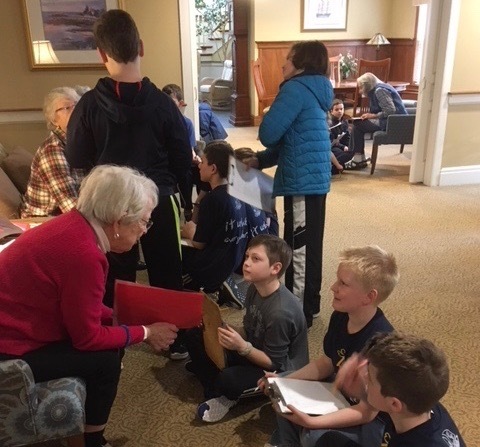 Fifth grade students delivered the cards and special notes and visited with the folks who live there. They learned about the resident's lives and shared their persuasive essays and personal narratives with them. The new friendships forged during these visits brought joy and understanding to all! Our students are looking forward to deepening the bonds created during their time with these community members. We grateful to the Bay Square community for partnering with us!